ASRock is the first board partner showing its Radeon VII. It is true, there are no custom designs yet. Rumor has it, there won’t be any in the coming weeks. It appears AMD did not provide enough time for the development for such designs. 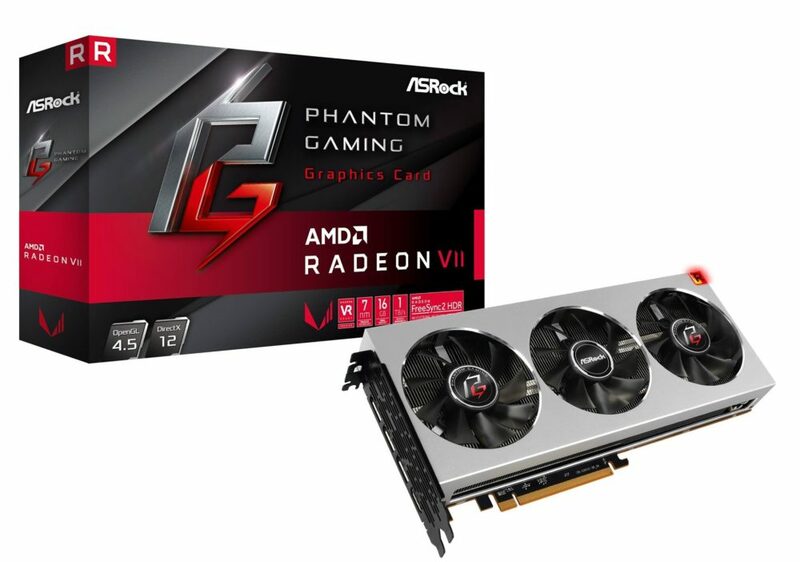 ASRock’s Radeon VII Phantom Gaming is basically a reference model with PG stickers, but it might also have a custom backplate, something ASRock is really into. The design of the box has changed since Radeon RX 500 series. A red stripe now surrounds the box to make sure this is indeed a Radeon card, no matter the viewing angle. The packaging also features Vega II logo which we have seen in patent filings. It also mentions the 7nm fabrication process, 16GB HBM2 memory and 1 TB/s of bandwidth. AMD is also advertising FreeSync 2 HDR technology. AMD Radeon VII will launch on February 7th for 699 USD. This is likely the fastest Radeon graphics card till Navi architecture arrives.